Volunteers create welcoming environments for New Hope guests through serving in one of the numerous hospitality areas. Door Hosts welcome and engage all attendees to New Hope. Welcome Center Hosts run the Welcome Center, answer questions, provide directions, and engage new and returning attendees. This role also includes responsibility for the presence of all Welcome Center printed materials, guest bags contents, and execution of any meet and greet events. Serving in Kids Central is a great way to impact the next generation of disciples and build community with others in our church. The nursery worker will help provide a safe, nurturing, and fun environment as our little ones begin to develop physically, emotionally, and spiritually. You will help achieve this by holding, feeding, and playing with the child and also through prayer. The Storyteller is the teacher who communicates God's word in a creative and engaging way to our toddlers (2 & 3 year olds). Storytellers are also our main leaders for each classroom and keep the flow of activities going. This person also plans the activities or craft that correspond with the lesson. Helpers for this class will assist the Storyteller in any activities taking place during the service. They will also be building relationships through the activities, crafts, lesson, and prayer. The Storyteller is the teacher who communicates God's word in a creative and engaging way to our Pre-K and Kindergarten kids. Storytellers are also our main leaders for each classroom and keep the flow of activities going. This person also plans the activities or craft that correspond with the lesson. Helpers for the class will assist the Storyteller in any activities taking place during the service. They will also be building relationships through the activities, crafts, lesson, and prayer. Kids Central is meant to be a fun and secure environment and you will help provide that. Greeters will help get families checked in, find the right classroom, help maintain safety, answer questions, and create a welcoming environment. Storytellers are the teacher who communicates God's word in a creative and engaging way to our 1st - 5th grade kids. Storytellers are also our main leaders for each classroom and keep the flow of activities going. This person also plans the activities or craft that correspond with the lesson. Classroom Assistants help facilitate the classes' activities and aides the Elementary Storyteller. They also help engage kids and their help foster spiritual growth through small group discussion, activities, and building relationships. Student Leaders are middle or high school aged students that help the Elementary Classroom Assistant or Storyteller through facilitating discussion, activities, and building relationships. The Elementary Vocalist/Dancer is someone that likes to use kids' high-energy to create a fun and engaging worship experience. They also help determine weekly song selections for each kids' service. When they are not singing, they will assume the role of the Elementary Classroom Assistant. The Kids Tech Team is comprised of elementary students and is overseen by any of the student or adult leaders in the class. This team helps run the computer and sound board during Kids Worship and the Storyteller's lesson. Attend the Middle School JumpStart hour (9:30) and help facilitate discussion while building relationships with the students. Attend and participate in Middle School D-Groups on Wednesday nights from 6-8 PM. Be willing to foster discussion and accountability while providing encouragement to the middle school students. Attend and participate in High School D-Groups on Wednesday nights from 6:30-8 PM. Be willing to foster discussion and accountability while providing encouragement to the high school students. 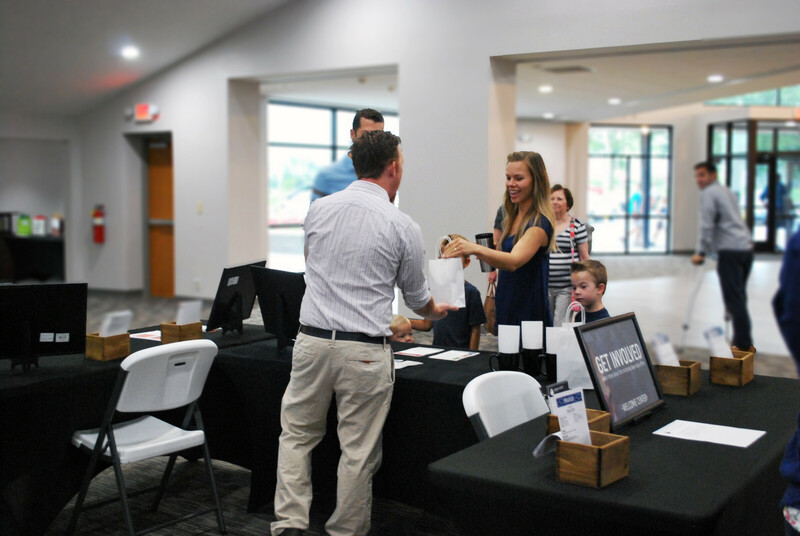 Worship team volunteers serve New Hope with a meaningful and engaging worship experience. If you're interested in auditioning to be a part of our on-stage music team, we're currently looking for experienced singers and musicians.